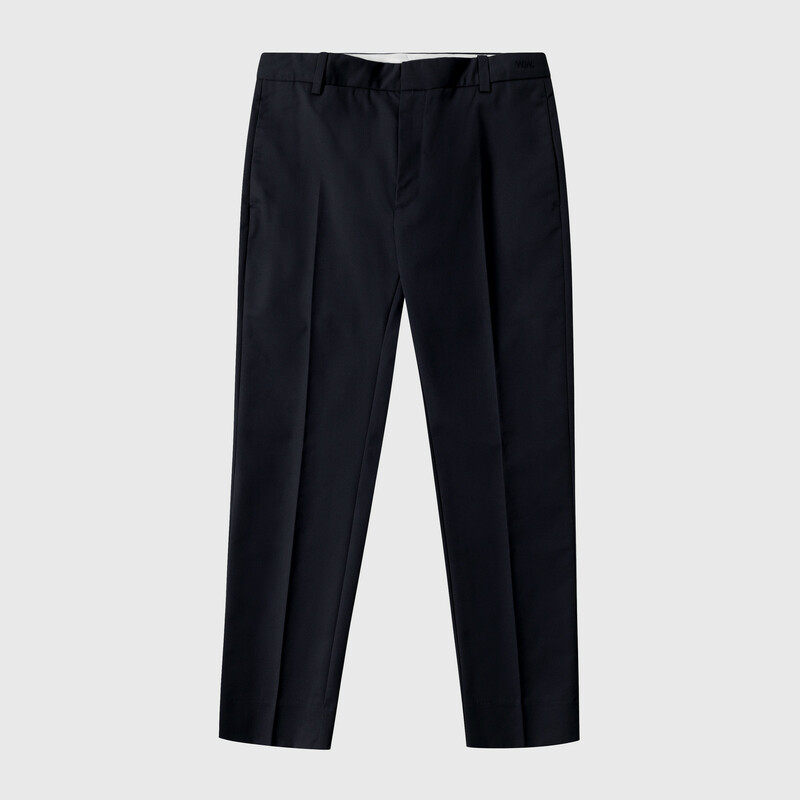 The Tristan pant by WoodWood has slim legs in a classic chino fit. Tristan in Navy features a 'W.W.' embroidery on waistband, press creases and two side pockets. It is completed with hook-and-eye closure, belt loops, two front pockets, two back welt pockets and a discrete coin pocket.